Liquor liability issues arise when an individual who was injured by a drunk driver or intoxicated individual alleges that an establishment furnished alcohol to the alleged intoxicated person (AIP) knowing that person was visibly intoxicated. In Indiana, even the AIP himself may have a claim against the business that served him alcohol if his own intoxication was a cause of his injury. These are serious legal issues and can put the future of a business in jeopardy if not defended by competent and experienced defense attorneys. 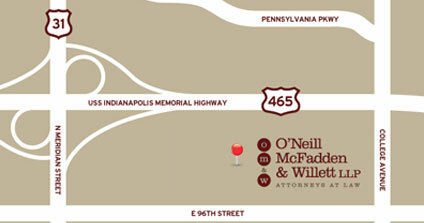 The lawyers at O’Neill McFadden & Willett are uniquely qualified to represent defendants in liquor liability and tavern premises and security liability cases, and to aid insurers and their insureds in understanding how Indiana’s liquor liability and premises and security liability laws apply. At O’Neill, McFadden & Willett, our attorneys and staff are committed to effective and frequent communication with the defendants we represent and their insurance carriers. The experience and relationships we have developed have enabled us to successfully litigate dozens of liquor liability cases, from assault and battery claims to allegations of illegal sales to minors and visibly intoxicated persons. 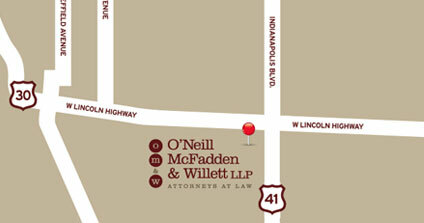 Contact Julie Murzyn or Dan Glavin at the law firm of O’Neill McFadden & Willett to learn how we can assist you. An attorney with the firm will meet with you to assess your needs and help you determine the most expeditious and cost-effective approach to your particular case. Call us today at 219-322-0450.